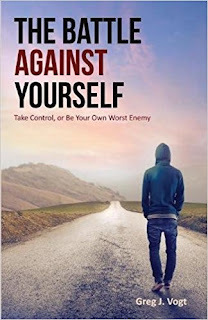 The Battle Against Yourself is a gripping real-life story from Greg J. Vogt. In Vogt’s debut novel, a memoir, he takes us from despair to hope, from sadness to happiness. He tells us of his battle with depression and attempts at suicide. It started in high school; with what many might overlook as typical teen angst. Yet, if we were to peel away at the layers of the onion, so to speak, we would see that Greg’s depression, at its root, stemmed from an internal feeling of lack of control, coupled with external factors/occurrences that sent him “off the deep-end.” Greg Vogt artfully articulates his internal loneliness, his low self-esteem and feelings of worthlessness, brought on by those eternal factors that exasperated his situation. For approximately one year, I have been reading the Diary of Saint Faustina. It started out as a Lenten practice to learn more about Christ’s mercy. Usually, I can read a book within a few days. However, in this instance, it’s taking me quite a long time to work my way through this book. 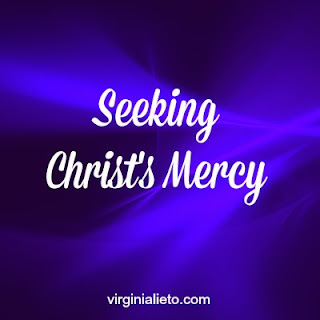 It is so jam-packed with information concerning Christ’s mercy. 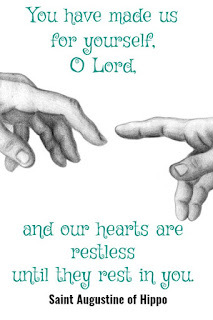 I read a few pages, at a time, on Mondays, when I attend Adoration. Then I reflect on what Saint Faustina is trying to convey regarding how Christ’s mercy works, and why we should all be seeking mercy. Today's Gospel, Mark 9:2 through 10, describes the Transfiguration. I'll be talking about that. Partly. Also Peter, perceptions, and laundry detergent. It seems like a better idea than getting upset that not everybody calls the second Sunday in Lent "Transfiguration Sunday." Or that some folks read this part of the Gospel on a different Sunday. Or that we had a different second Sunday Gospel reading last year. 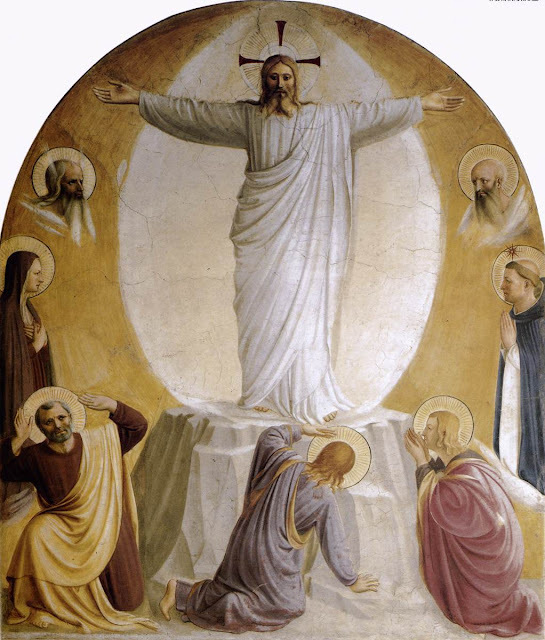 Or that our Feast of the Transfiguration is August 6 this year. And is a Monday. Occasions for angst abound. I'd rather look at what today's Gospel says and what's been said about it. Then think for a bit and see what happens. We haven't found extraterrestrial life. But we're still finding planets circling other stars. Thousands of them. Some of those planets couldn't possibly support life as we know it. But some might. Atomic oxygen may be a good biosignature: evidence of life. That's what some scientists said in a recent paper. If they're right, we may be a step closer to finding life in this universe. 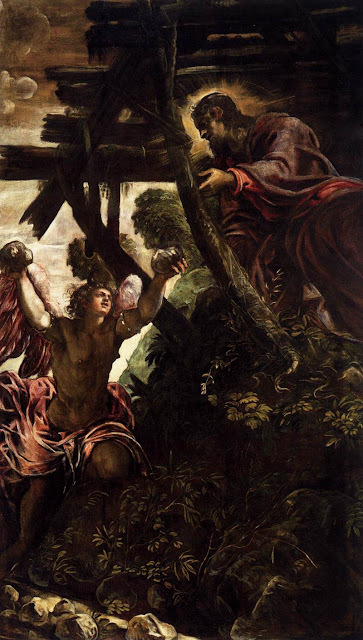 Six days later, Jesus took with him Peter and James and John, and led them up a high mountain apart, by themselves. And he was transfigured before them, and his clothes became dazzling white, such as no one on earth could bleach them. And there appeared to them Elijah with Moses, who were talking with Jesus. Then Peter said to Jesus, ‘Rabbi, it is good for us to be here; let us make three dwellings, one for you, one for Moses, and one for Elijah.’ He did not know what to say, for they were terrified. Then a cloud overshadowed them, and from the cloud there came a voice, ‘This is my Son, the Beloved; listen to him!’ Suddenly when they looked around, they saw no one with them any more, but only Jesus. 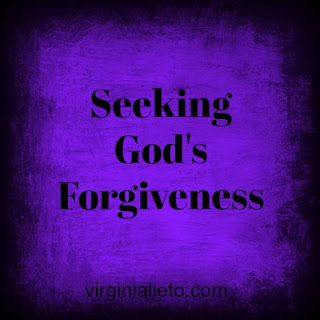 Lent is an excellent time for seeking God’s forgiveness, via the Sacrament of Reconciliation. In this sacrament, God cleanses us from our sins and reunites us to Christ. Although you may be apprehensive at the onset of disclosing your sins to priest, it is really Christ in whom you are confessing your sins, as the priest is acting in persona Christi, in the person of Christ. You will exit the Confessional filled with God’s graces of gratitude, humility, joy and peace. "Three things are necessary for man's salvation," said Thomas Aquinas, "to know what he ought to believe, to know what he ought to desire, and to know what he ought to do." In this three part series, during Lent, I am going to take apart this quote from Aquinas. In this quote, he begs the question.... actually three questions. This year during the season of Lent, this will be the focus of my conversations. Today, I'm discussing what we do. How's the 'no shopping' going for Lent? Well, it's interesting. It is really opening my eyes! The Olympics are here! Have you been watching? I’ve watched some: snow boarding, a little of the sking, and my favorite, figure skating. I hope Association of Catholic Women Bloggers continue to indulge me with another podcast. 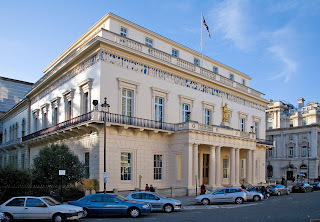 David gave a talk at his Book Launch of Wisdom from the Christian Mystics - How to Pray the Christian Way on 15th February 2018 at The Athenaeum, Pall Mall, London. I hope Association of Catholic Women Bloggers will indulge me by listening to a podcast rather than reading a blog. by Professor Henry Mayr- Harting - Emeritus Regius Professor of Ecclesiastical History, Oxford, England. John Lagomarsino was born on 6 November 1939 in Sacramento, California, USA, to Louis L. Lagomarsino and Helen (Higgins) Lagomarsino. 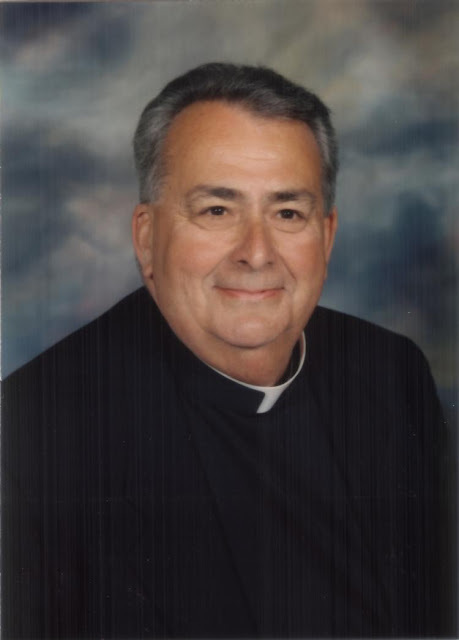 He is survived by his older brother, Dr Paul Lagomarsino, and his younger sister Mrs Lucia Foster.He attended Sacred Heart Grade School, and later Christian Brothers High School (1953-55) as well as Sacramento Senior High School (1955-57). Afterwards, he attained a BA in History from Sacramento State College. In 1961 John joined the Peace Corps and was among the first group assigned to the Philippines. There he met the Columbans while teaching English as a Second Language in Ilog, Negros Occidental. Does a Random Act of Kindness Really Do Any Good? Did you know that Saturday was Random Act of Kindness Day? Might someone have provided you with a random act of kindness that simply made you smile? If so, please share the experience in the comments section below. We could all use a little good news about now. It would be nice to know that some people are out there doing good for others. 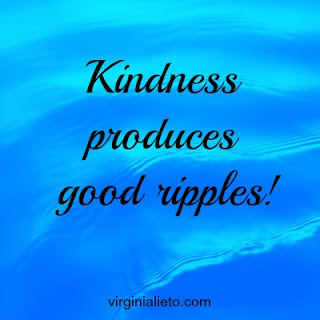 How grand it would be if we applied the principle of Random Act of Kindness Day to our everyday lives! Oh, just think of what a nicer world it would be, if we were all kinder to each other. This year's Ash Wednesday and Valentine's Day were the same day. Folks exchanged greeting cards. Many got their foreheads marked with ashes. And 17 were killed at a high school. Quite a bit happened this week. Series on Lent pt. 2: What Do You Desire? The other day, after picking my oldest up from her volleyball practice (she joined the team last week and will begin competing in games in the near future), I let the kids play in water outside because despite being February, we had the rare 70 degree day. They were squirting the hose, and playing and laughing. I put Conrad down for his nap, checked my iPhone, then went outside, to find no one in the backyard. I called for Annabel (the toddler) but she was nowhere to be found. I looked in the front yard first, then ran upstairs and asked Molly and Frances where Annabel (and Anders and Madeleine) were. I’d like you to meet Michael. He’s one of my heroes. Michael is the nephew of my second-born son’s wife, the third-born of her sister's six children. He just turned nine years old and I am going on sixty; but believe me when I say that when I grow up, I want to be just like him. 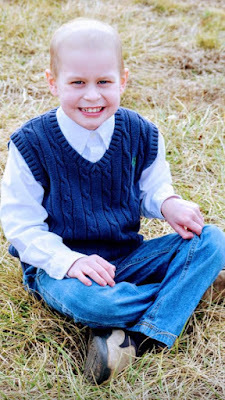 When you hear his story, you will undoubtedly feel the same way. Falcon Heavy's test flight last week wasn't perfect. But I'll call it a success. That's good news for SpaceX. Not my opinion: the largely-successful flight. The test flight's dummy payload included an actual dummy. "Starman" is that mannequin wearing a spacesuit at the wheel of a red Tesla roadster. Please pray for the Reverend Erl Dylan J. Tabaco who will be ordained to the priesthood on Saturday 17 February in Holy Rosary Parish, Agusan, Cagayan de Oro City, Philippines, where Columbans worked for many years. May the Lord grant him many fruitful years as a Columban missionary priest. Hello, Carol D'Annunzio here. I have been a long-time reader of the Association of Catholic Bloggers and very happy to have the opportunity to share my thoughts and posts with all of you here. I am married for almost 15 years to a wonderful, truck-driving guy named Michael and we hail from New Jersey. Together we have an almost 13 year old whom I homeschool and an adorable rescued Dachshund-Chihuahua named Nugget. 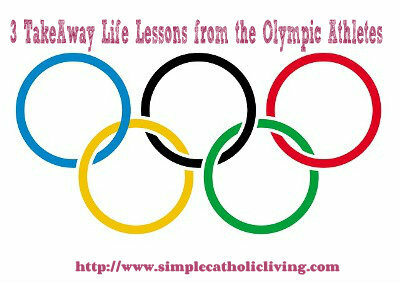 I am passionate about my faith and writing and love being able to combine the two on my blog, Simple Catholic Living. 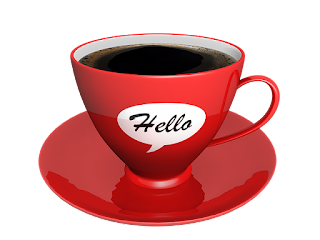 I look forward to connecting with some one you. God bless. 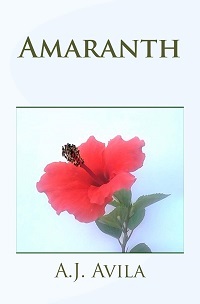 From February 15-19, my Christian novel Amaranth will be free on Amazon Kindle. About the story: Would you take an elixir that made you perpetually young and physically immortal? What if the price for it was your eternal soul? Billionaire Desmond Sceller acquires such a wonder drug. But when eighty-year-old Marie Long is rejuvenated by it against her will, she quickly discovers unending beauty and youth is not the paradise it seems. Sceller, however, intends on using the elixir to entice all mankind into submitting to his tyrannical control. When Marie and her grandson Peter unearth this evil scheme, they soon discover that only an extraordinary sacrifice on their part can free humanity from Sceller’s nefarious plan. For ages 13 and up. During this promotional offer, my other Christian novels—Rain from Heaven, Nearer the Dawn, and Cherish—will also be just 99¢ each on Kindle with all net profits going to charity. 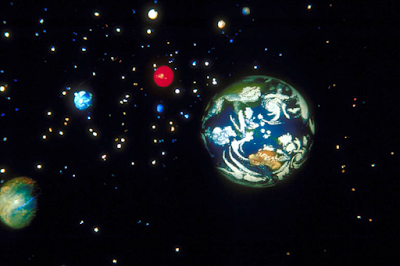 Origin of Creation: How Did the Universe (and You) Begin? Wow! Ash Wednesday & Valentine’s Day on the same day! 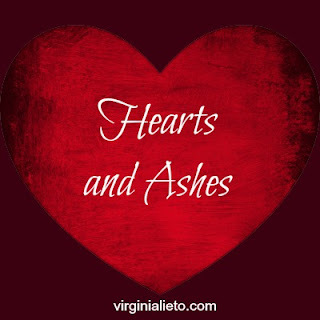 Hearts and Ashes in one fell swoop! Today is the day when we show our love for our spouses and loved ones, with valentines. 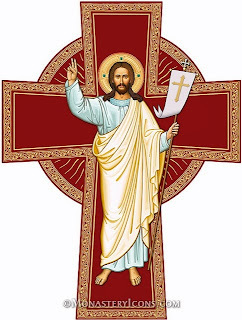 It is also a day that we show our love for Christ, with ashes on our foreheads; marking ourselves as belonging to Christ. Today, we can consider the ashes on our foreheads as our own personal valentine to God, acknowledging Christ’s sacrifice on the cross because of His love for us. Talk about bittersweet days! No hearts filled with assorted chocolates this year! Considering that Ash Wednesday is a day of fasting and abstinence, there is no going out to dinner tonight either. Yet, the love of Christ is ever-present on this day, and we soak it up. I’ll give up a candy heart, and a steak dinner, knowing that Jesus loves me. There is no better Valentine than that! My fasting and abstinence is a small sacrifice of self-giving love back to Jesus for His sacrifice on the Cross. This year during the season of Lent, this will be the focus of my conversations. 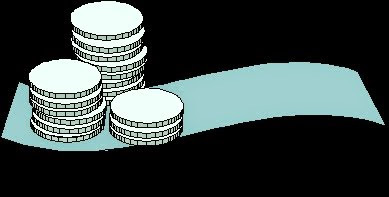 I am going to start that conversation here, with part one on my blog! I must start this post by telling you that I have been a friend and fan of Tony Agnesi for approximately four years now. Several years ago, as a fledgling Catholic blogger, I reached out to him, seeking advice. 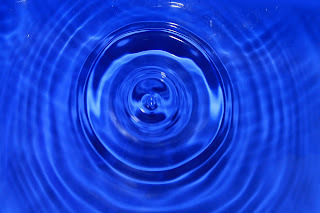 You see, Tony has an awesome blog over at tonyagnesi.com, where he blogs about virtue as well. Where I write more from a theological/academic point of view on virtue, Tony writes from experience. I once asked him, “How do you come up with such great stories? 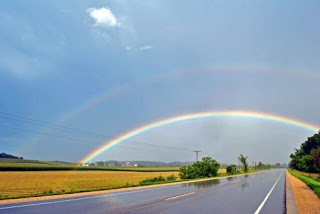 You are quite creative!” His reply, “Those things really happened to me!” God uses Tony, daily, to reach out to the less fortunate; to witness to the faith; and to use his gift for storytelling to reach the hearts of many. 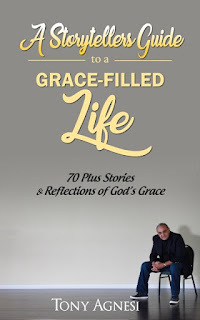 In A Storytellers Guide to a Grace Filled Life, we see Tony Agnesi at work in God’s Garden of life. Did Hank Done It This Way? Lent is fast approaching. How I see it and what I do is up to me. Ash Wednesday is next week, so I don't have much time to decide. Christians, Catholic and otherwise, in my culture generally change what we eat for this season. I'm a Catholic, so I've got rules.